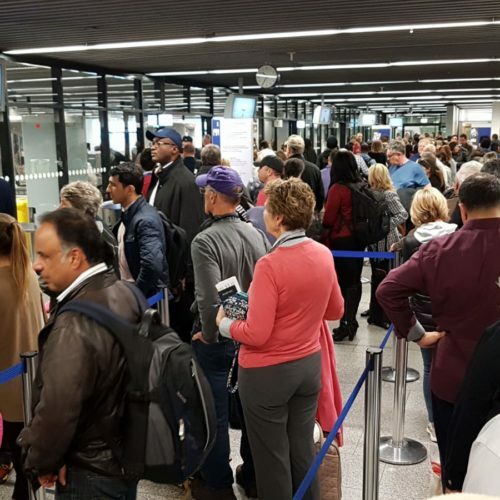 Not Verified | The security for the connecting flight was unusually incompetent and aggressive. They were chatting among themselves and condescending towards passengers expressing their concerns about missing connecting flights. One person explicitly said they didn’t care if we missed our flights, and threatened to send us to the police. ✅ Trip Verified | Overall experience at the airport was very limited. Staff are very unfriendly in general and facilities need some upgrade. Limited signage also. I was traveling within EU with EU ID card and security guy was too busy whatsapping on his phone rather than doing his job. He complained for not having a passport so i can go through automatic gates and tried to cause an issue. "super slow ways of moving"
Not Verified | I love Lufthansa for trips to Asia and Europe from N America so often have to transit via Frankfurt. That is where for almost 10 of my last 15 transits through Frankfurt, I land up very regretful. Terminal 1 has super slow ways of moving (stairs, slow elevators, long distances with no fast moving train, bored and slow passport control, ugly line ups) ..Munich,in contrast is all bright, shiny, efficient (even though it uses buses at some gates) and everyone is more cheerful, polite and efficient there. I wish more Lufthansa and Star alliance flights went through Munich. Not Verified | Terrible service. The security is extremely rude and slow. They unapologetically refuse to speak English. Please do mind the context. You are hired to perform a role and provide a service in a place where hundreds of cultures come through every day. Communication is absolutely essential to provide a decent service. Not Verified | Transfer from my arrival from Hanoi (non Schenghen flight) to my departure to Prague (Schenghen flight) was very confusing. No gate announcement on the screens until 20 minutes before boarding. Then you discover there is no direct connection between the transits, you have to exit to arrivals and come back again to departures. I was lucky it was 7 am in the morning and there were no people at (out) passport control and at the seccurity (in again), otherwise I would have missed my flight. Not Verified | The least friendly airport I’ve ever experienced. We were in transit, returning from a family vacation in Europe back to US. Our flights were delayed so we tried to use a business lounge where our son was denied access (not business class) even if we offered to pay for him. We decided to use a pod to get some rest in privacy and I have to say the service was cold and detached, still wondering if it was because of our US passports (stupid yeah?). The airport itself is ugly and lacks any charm although modern and sales people (3 different stores) were rude and disinterested. I have not used this airport since my college years (40+years) and I’m sad to report that it changed from not so great to way worse. I’ll do my best to never travel through this airport in the future. ✅ Trip Verified | Really a shameful management of the security check service. 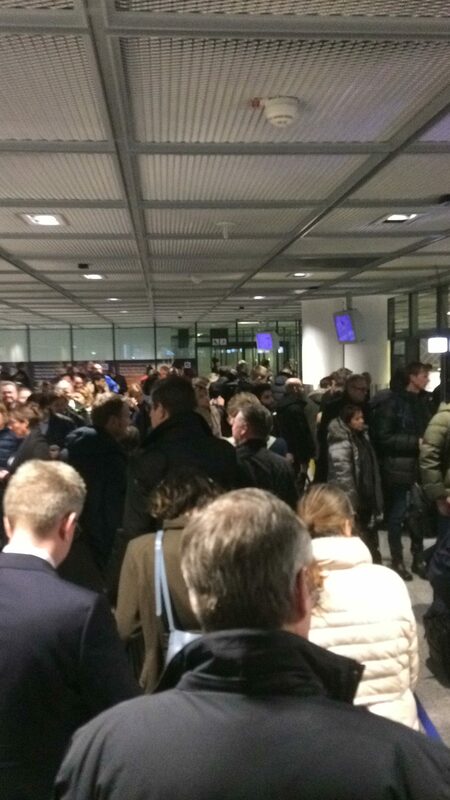 There was a huge queue, it took 1 hour and 20 minutes to pass the security check. Check belts were extremly slow. No assistance on place. The guy at the belt and at the body scanner didn't speak English. I think it was a sort of strike, but I almost lost the flight. I'm sure that some people lost it. In order to arrive at the gate I had to run very fast and I arrived there withouth breath and almost heartbreaking. The gate closed behind me. 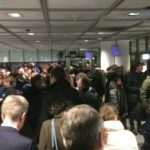 Blame on you Frankfurt security check! Really a big shame. I'll look for alternatives in the future to avoid Frankfurt hub. ✅ Trip Verified | BA flight was delayed by an hour so I waited in the lounge until they made an announcement. I was flying business. Upon being called, I went to gate D7 to go through security. 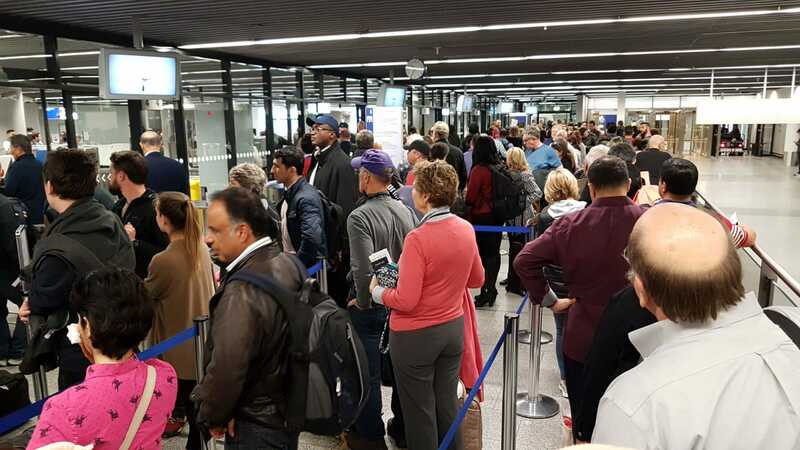 Even though I was in the priority lane and there were only 10 or so people ahead of me, it took just over half an hour to get through security. Only one scanner out of 4 was open and everyone was standing around chatting, scanning one person every 2 or 3 minutes on average. I complained to the security people but they said the flight wouldn’t leave without me. By the time I got through, the BA staff told me I had missed my flight and put me on the next one two hours later. At no point did anyone from the airline make an annoncnement or come to security. I raised this to security who were very dismissive and did not apologise. The whole thing was a shambles, with people around me shaking their heads and making disparaging comments about supposed German efficiency. "Avoid Frankfurt when you can"
✅ Trip Verified | On arrival of our flight, the personnel for the stairs to deplane on an outlying place was not available, eventually they showed up, and we were bussed to the terminal (A, the usual terminal for Lufthansa). 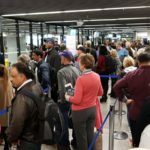 Knowing I had a short connection, I hurried - quickstep - to terminal C. On the way, I had once more go through security check, this time, quite quickly. Arriving on my gate, the flight was closed and the staff asked me to go back to Lufthansa for more info (back to terminal B). In order to get to the gates again, another 45 min waiting at the security check to terminal B - this is just lousy. Avoid Frankfurt when you can. It is good to arrive or leave here, but transit really is a problem. Transit between different carriers is a nightmare in my opinion. ✅ Trip Verified | Shaving foam continues to be an issue at Frankfurt airport. Whereas in most airports security staff are now informed that shaving foam can be carried on board, in Frankfurt this is not yet the case. When I tried to explain this to the staff member responsible for the security team at the gate where I passed, I was simply dismissed as not knowing what I was talking about. It is time that security staff gets properly trained and informed.